Meet our nurses at Stephen Terrace Veterinary Clinic. Julie commenced working at the Stephen Terrace Veterinary Clinic in February 2008. She completed her Certificate IV in Veterinary Nursing in 1992 and has also completed the Diploma of Professional Practice Management. 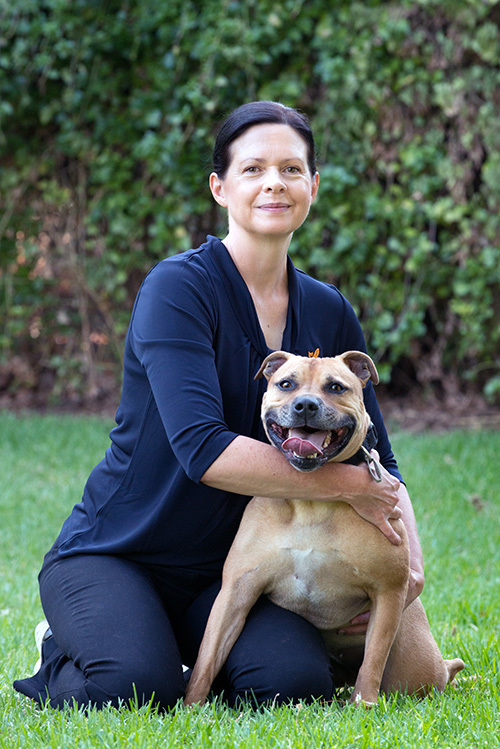 Julie is married with two children, Dylan and Brandon, and has a red Staffy named Eddie. In her spare time she enjoys watching football, going to the beach, fishing and camping. 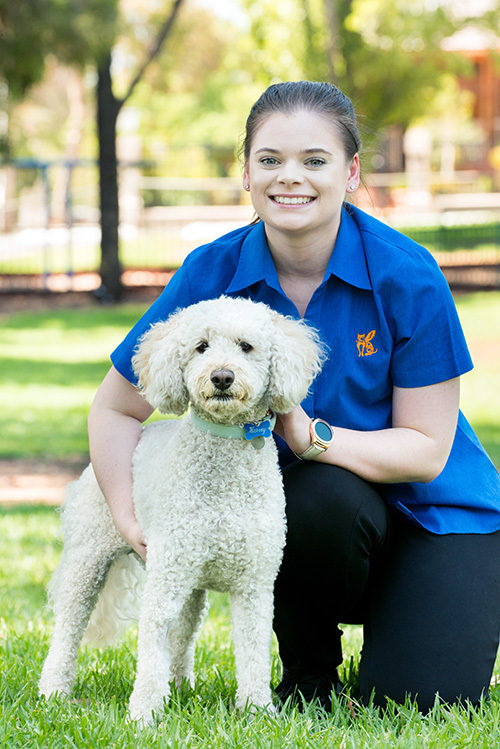 Lindy joined the Stephen Terrace Veterinary Clinic in February 2009 and completed Certificate IV in Veterinary Nursing in April 2012. Lindy enjoys spending time with family, Surf Life Saving and playing Touch Football in her spare time. She has a ball-obsessed Kelpie named ‘Ochre’ and a naughty cat named ‘Mintie’. Since having a baby boy named Murray in 2015 she now works at the clinic part time and enjoys balancing a work/mum life. Brittany started working at the Stephen Terrace Veterinary Clinic in August 2010. 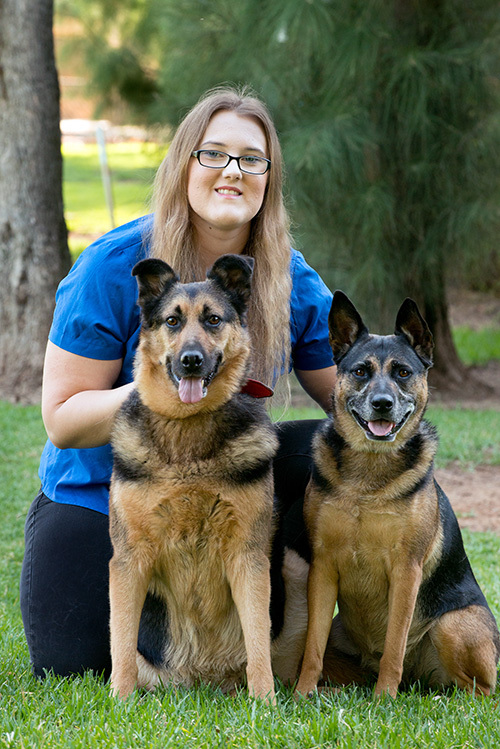 She has completed Certificate IV in Veterinary nursing, and also recently a Diploma in Veterinary Nursing. At home, Brittany has a spoilt Devon Rex named Barley. Brittany loves to travel both interstate and overseas, and in her spare time enjoys spending time with friends and family. Chantelle started working at the Stephen Terrace Veterinary Clinic in November 2016. 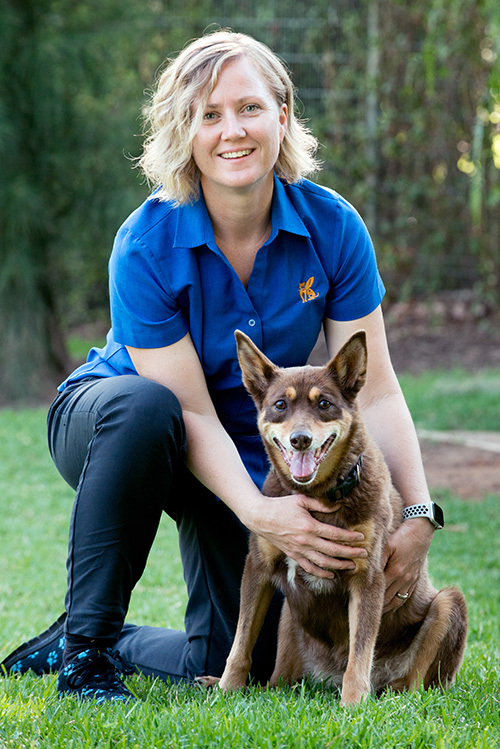 She has completed a Certificate III in Animal Care and Husbandry and a Diploma in Animal Technology. 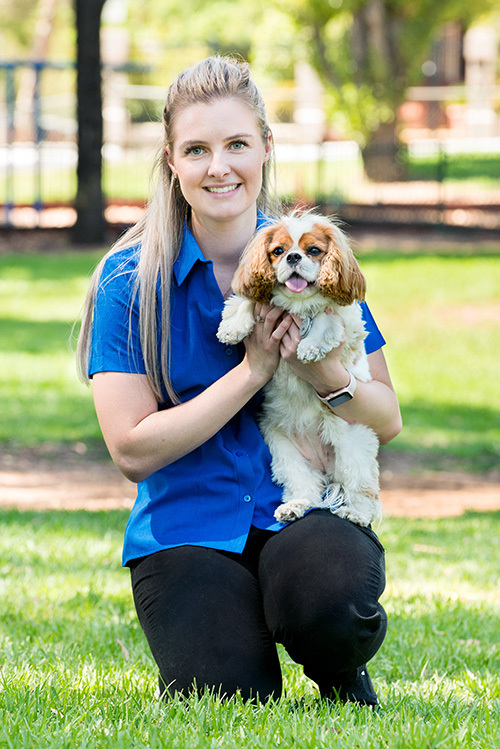 Chantelle completed her Certificate IV in Veterinary Nursing in April 2019. At home she has 2 spoilt rescue German Shepherd Cross dogs; Rosie & Ruby and two spoilt rescue cats called Nacho & Patches. In her spare time she enjoys foster caring kittens with a special interest and skill for neonatal care. She also likes catching up with friends and eating out. 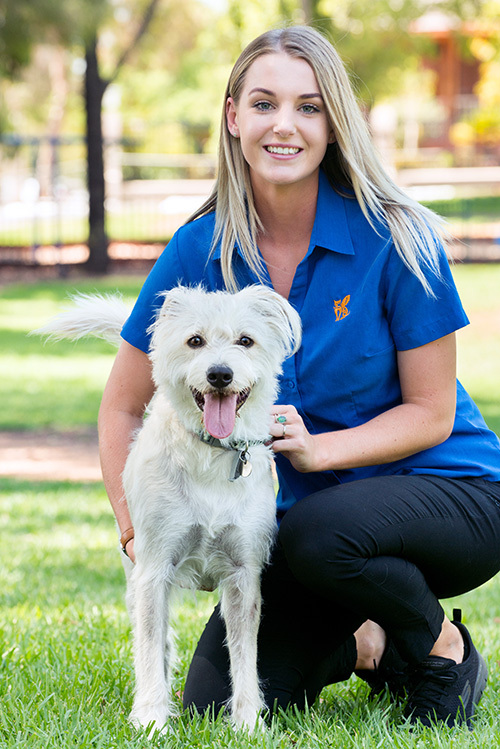 Liz started working at the Stephen Terrace Veterinary Clinic in March 2015. She has completed Certificate IV in Veterinary Nursing in 2014. In her spare time, Liz enjoys the outdoors, bike riding, catching up with friends and boxing. Nicole joined Stephen Terrace Veterinary Clinic team in April 2017. She has completed Certificate I & II in Animal Studies, Certificate III in Animal Care and Husbandry, Certificate III in Companion Animal Services and is currently studying Certificate IV in Veterinary Nursing. At home she has a Spoilt German Shepherd cross Labrador called Lily. In her spare time she likes to catch up with family and friends, going fishing and shopping. 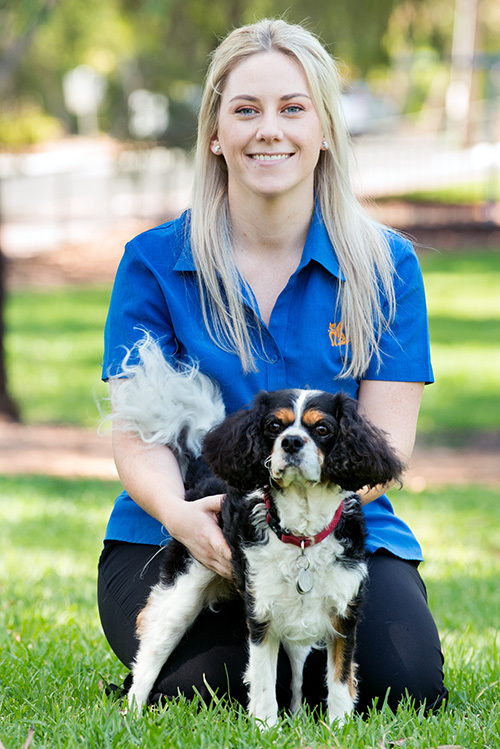 Charlotte started working at the Stephen Terrace Veterinary Clinic in February 2018. She has completed her Certificate II in Animal Studies and is currently studying her Certificate IV in Veterinary Nursing. At home Charlotte has a 5yr old cat named India and a cheeky rescue dog named Piper. In her spare time Charlotte enjoys spending time with family/friends and eating out.